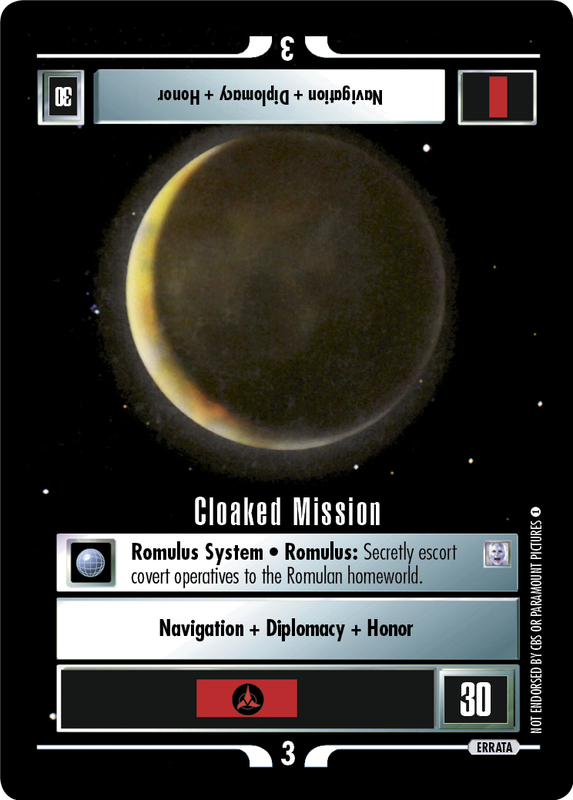 2154 Romulus: From the spires of Romulus, ten soldiers nearly conquered the galaxy. 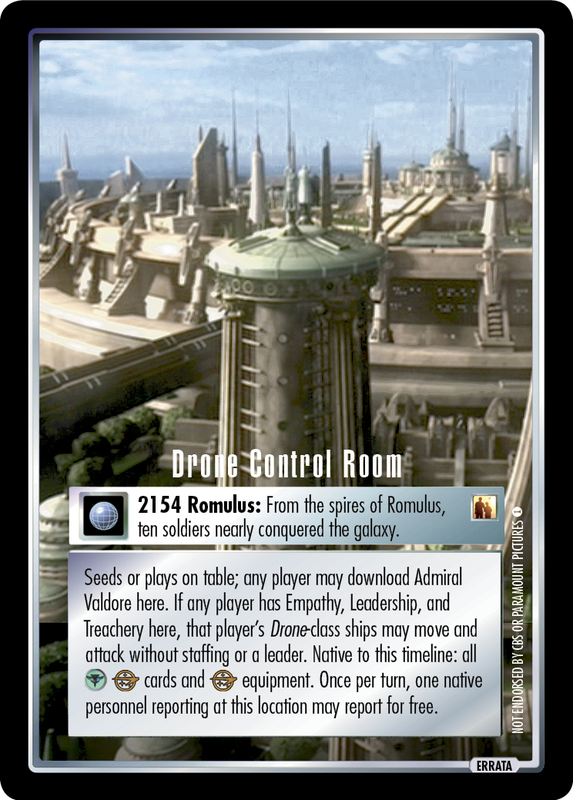 Seeds or plays on table; any player may download Admiral Valdore here. If any player has Empathy, Leadership, and Treachery here, that player's Drone-class ships may move and attack without staffing or a leader. Native to this timeline: all cards and equipment. Once per turn, one native personnel reporting at this location may report for free.